Next month Built is in Toronto during NXNE Interactive. Built is our series of talks by people who create. It’s a make and tell event with 5-minute presentations by diverse speakers covering a wide-range of topics. 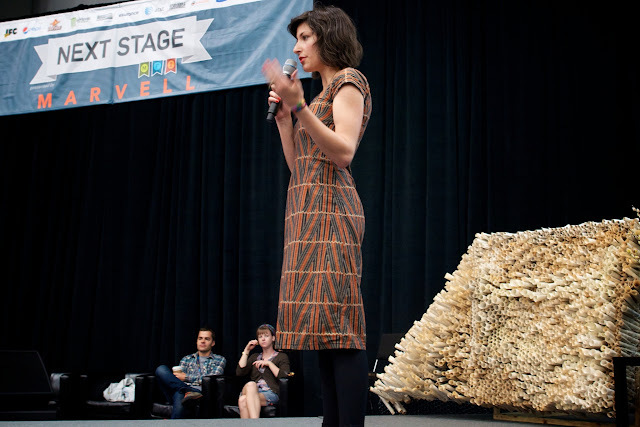 This attendee favorite has played in Austin for SXSW and Portland during WebVisions. We’re very pleased to bring the show to Toronto during NXNEi. We’re on stage in the NXNE Lounge at 1:20 to 2 each day from June 13-15 and want to hear what you’ve got to say about your projects, the cool stuff you make or do. How you take the ordinary and create the extraordinary. Submit your talk now. Built our flavor of Ignite with the bike as a backdrop or a Pecha Kucha. Each presentation is 5 minutes with 20 slides that automatically advance every 15 seconds. The beauty of the format is, the presentations change like Seattle weather. If you’re not that interested in one talk, wait for another. I’m also talking about being a maker and creator during NXNE. I’ll ride all over Toronto, mayor Rob Ford be damned!